The first segment is with Roz Rustigian, co-chair of the board at The Initiative to Educate Afghan Women. The Initiative is an international program based in RI to champion and advance women’s education in Afghanistan. We are also joined by one of the students from the program who has just arrived in Providence who will be going on to study engineering. 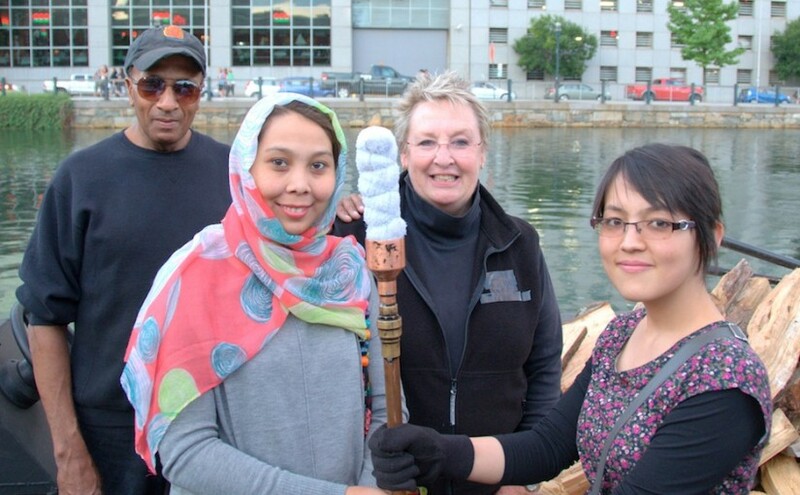 Five of the students joined us at our August 9th lighting to participate as honorary lighters of WaterFire. The Initiative has been doing this great work for 12 years and has now sponsored 91 students to go to college, opening an entirely new world of opportunity for them and for the country of Afghanistan. Mestra Tico Tico (left) and Professor Canela (right) from Grupo Ondas Capoeira at WaterFire Providence. Photo by Jeffrey Stolzberg. The second segment on Changing Lives features Silas “Tigri” Pinto from Grupo Ondas Capoeira. WaterFire is pleased to be once again welcome Grupo Ondas’ Batizado at our August 23rd lighting from 6:00 to 8:00 PM at the lighting ceremony at Waterplace Basin. Capoeira is a fascinating and exciting form of martial arts combining athleticism, discipline, and music that was born in Brazil. 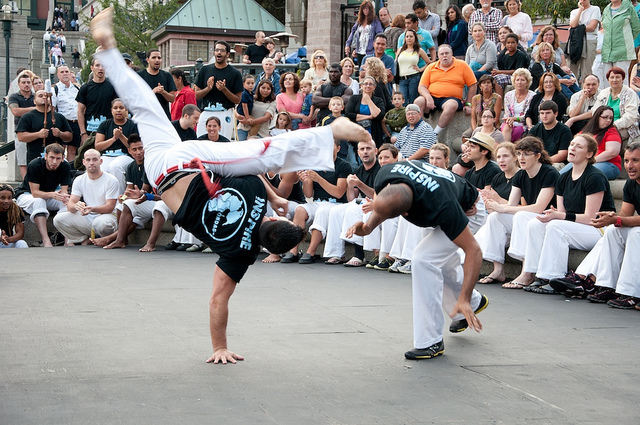 Grupo Ondas has been sharing their capoeira with the WaterFire audience for the past ll years. Also changing lives is the RI program of Teach for America RI which as been bringing teachers into RI for the past five years. Our third guest is David Floyd, Director of School Partnerships and Policy who will review the goals and success of the program as we prepare to welcome this year’s team of 35 new teachers, who will be welcomed to RI at the August 23rd lighting, participating in a Prometheia torch procession and a recognition ceremony at the Ignite Music Stage at WaterFire on Steeple Street. Episode 9 – Broadcast August 13th, 2014 | Featured image: Guest lighters from The Initiative to Educate Afghan Women at the August 9th lighting. Photo by John Nickerson. Next Next post: Celebrating Providence’s waterways and heating up Providence’s nightlife.